And a lot of romance, because, yes, of course, I always want romance. The thing is, while I got strong female characters, complex relationships and great feminist messages, these elements didn't make me feel half of what I expected to. Oh, and there was almost no romance. The magic system was interesting and sort of unique, compared to what else is out there in YA retellings, so that's definitely a plus. 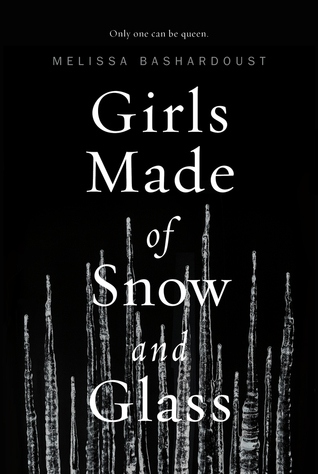 But Girl Made of Snow and Glass was a slow, slow read, and I blame the pacing for my lack of overall connection with the story and the characters. Both Lynet and Mina had more than enough qualities to hook me and make me fall in love, but nothing seemed to happen for so long that I struggled to engage with them. Overall, I think I'm slightly disappointed because I came into this book expecting it to have more action than it did. Or at least a lot more romance. Having said that, I'm in the minority here, and maybe if you go into it knowing you'll get a slow, character-driven story, you'll actually enjoy it a lot more than I did.